And here we are, kids. The cover for “Lamashtu.” As I mentioned in some other posts, the audiobook is currently in Audible’s ridiculously clumsy mitts so it may take a while for it to actually show up. But the ebook? It’s done. It’s ready. And you can preorder it right now. Rather than set the story in Egypt, I chose to set it in Peru. Why? Well, because I was unfamiliar with ancient civilizations in South America. And it provided additional conveniences, such as isolation, that not even Egypt provides these days. Which, it turns out, was very important to the story. The idea for Lamashtu, however, has been with me a long time. It was the result of my research for Garaaga’s Children. I came across the legend of the Utukku and was smitten. I’m not going to say anymore about that here, mainly because I don’t want to spoil the tale, but that research led to not only this story, but also to certain scenes in Ama. And then there’s the tenuous connection to Closet Treats…but I digress. The anthology was canceled due to financial issues, and the story bounced back into my hot little hands, rights firmly mine. So I podcasted it before The Black started its run. I received some great feedback from folks and most seemed to love it. I wanted to go ahead and publish it right then and there, but was told I should stagger releases or something. Killjoys. Scott Pond worked like the devil to come up with an appropriate cover. And man, he hit it out of the park. Lamashtu, like Mimes, is a one-off although I have a bad feeling some of the events from this story will echo throughout my fictional universe. I have plans, you see. So here we are. 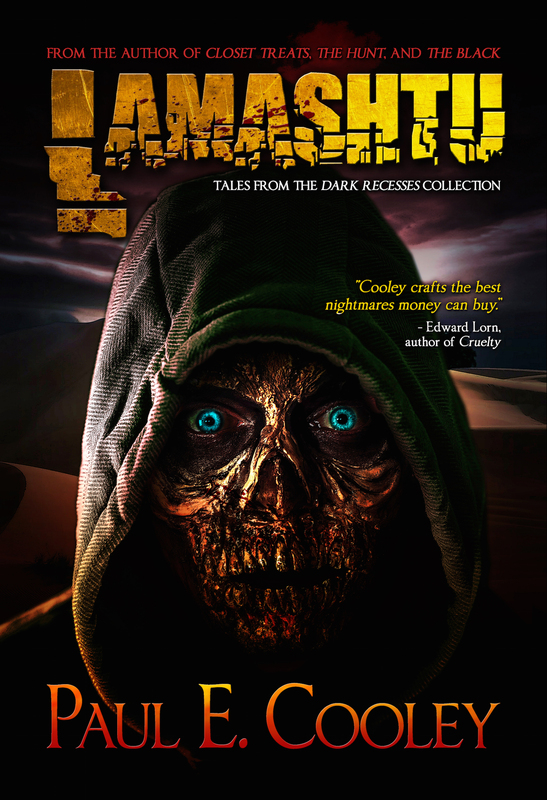 My second story in the “Dark Recesses Collection.” There will be more tales like this, more one-offs that are self-contained and not directly related to my other works. I plan for them all to be very long short stories or novelettes. Of course this is me we’re talking about. So a novella is certainly not out of the question. If the tale looks interesting and sounds interesting and you want to get your mitts on it, Lamashtu is available for pre-order right now. The story will release on Halloween. Very appropriate, I think. I’ll let everyone know when the audiobook is available from Audible as well. In the meantime, this is my Halloween gift to y’all. So spend that 99¢ and get some horror in your life.